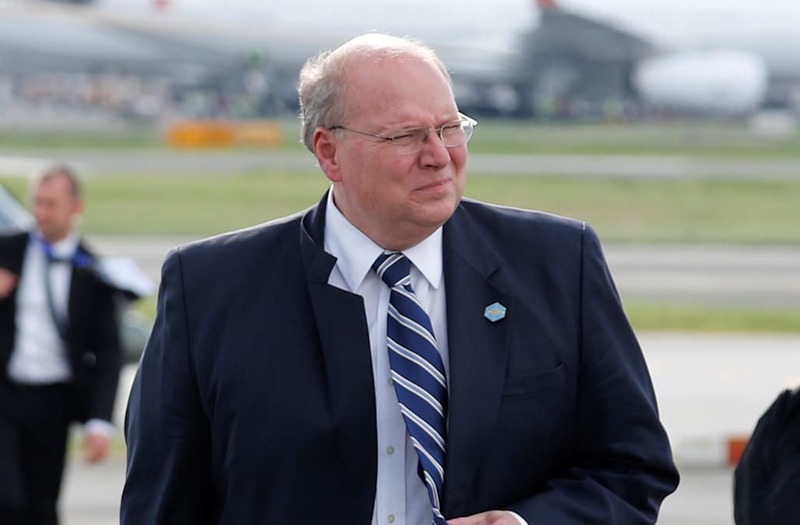 WASHINGTON, June 19 (Reuters) - White House deputy chief of staff Joe Hagin, who led the U.S. advance team for President Donald Trump's summit with North Korean leader Kim Jong Un in Singapore, is resigning, White House officials said on Tuesday. Hagin, who plans to return to the private sector after entertaining jobs in other government agencies, will step down on July 6, the officials said. “Joe Hagin has been a huge asset to my administration. He planned and executed the longest and one of the most historic foreign trips ever made by a president, and he did it all perfectly," Trump said in a statement. "We will miss him in the office and even more on the road." Hagin, 62, is a veteran of Republican presidencies, having had roles in the administrations of Ronald Reagan, George H.W. Bush, and George W. Bush. He has been one of the most experienced advisers at the Trump White House. He negotiated details with North Korean counterparts for the summit last week on Singapore's Sentosa Island in which Trump and Kim met face-to-face for the first time. He also organized Trump's first foreign trip to Saudi Arabia, Israel, Belgium and Italy a year ago, and his tour of Asia last November. Turnover has accelerated in the Trump White House, with the president less reliant on advisers. One official said Hagin had wanted to leave some months ago, but was persuaded to stay by White House Chief of Staff John Kelly.